Leading Wholesale Trader of 20x4 jumbo fstn lcd module, rd320x240 fstn lcd module, 16x2 fstn lcd module, 40x2 fstn lcd module, 20x4 fstn lcd module and 128x64 fstn lcd module with touch panel from Thane. With the comprehensive industry knowledge of allied domain, we are engaged in presenting a superior quality range of 20x4 Jumbo FSTN LCD Module. The offered LCD module is made available with 146.89 interfaces. The color and LCD type may differ according to the circuit used. In order to develop a unique and perfuming LCD module, at our production unit, the professionals adhere to international industry standards along with keeping a strict check on the production. The available LCD module size available for the 20 x 4 is 120.036.0. 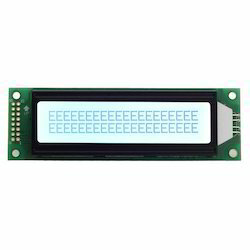 With an aim to fulfill varied requirements of our valued clients, we are engaged in offering RD320x240 FSTN LCD Module. 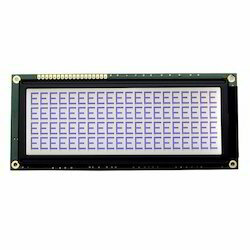 Our 320 x 240 Pixel graphic LCD modules are equipped with QFP IC. These are suitable for higher industrial application. Also these are obtainable with different type of connector option. Moreover, clients can available in FSTN and STN module. The offered LCD panel is developed in accordance to industry norms and quality parameters. We are successfully ranked amongst the trustworthy entities offering a wide range of 16x2 FSTN LCD Module. The LCD FSTN module supports yellow, green, blue, white color. This LCD FSTN module is equipped with duty Bis of 1/15 and 1/16 configuration. The available LCD FSTN module size available for the 16 x 2 is 80.036.0. Also, The LCD FSTN module supports only the configured type. Additionally, at our vendor’s end, the offered LCD FSTN module is developed in accordance to industry norms and quality parameters. We have gathered a huge customer base in this domain by presenting a comprehensive range of 40x2 FSTN LCD Module. This FSTN LCD module is composed with VA size 253.865 supporting character size until 58.476. The offered dot size, dot pitch and duty Bias has no major difference when compared to 40 x 2 LCD modules. 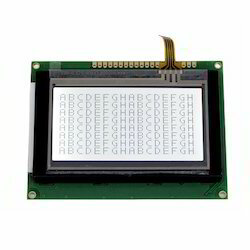 Apart from this, clients can get the LCD module from us at industry leading rates. 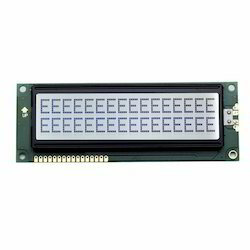 As an affluent name of this domain, we hold expertise in presenting high quality 20x4 FSTN LCD Module. This FSTN LCD module has a while back light with 3volt operating. The offered FSTN LCD module can be easily interfaced with any of the low voltage micro controllers. Furthermore, quality controllers from our team opt for strict quality inspection made on the FSTN LCD module to ensure durable performance. Apart from this, clients can get the FSTN LCD module from us at cost effective rates. 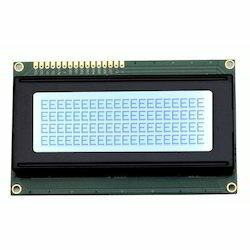 We are one of the noteworthy enterprises engaged in offering superior quality 128x64 FSTN LCD Module with Touch Panel. This LCD module with touch panel delivers the accurate configuration of dot, size, dot pitch and dot Bias required for installing the circuit board. The color and LCD type may differ according to the circuit used. Clients can use the panel for LCD type FSTN and STN. This LCD module with touch panel supports heavy presentations, entertainment videos and information texts effortlessly. Backed by our years of industry experience, we are betrothed in presenting an excellent quality of 16x2 Jumbo FSTN LCD Module. The LCD module is manufactured using quality components and approved materials. Our engineers use latest technology that helps in developing a trendy LCD module delivering vibrant colors and shades. 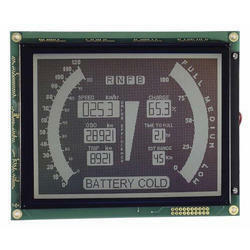 This LCD module is largely used for presentations, entertainment and information providing screens. In order to make LCD module highly durable, our professionals adhere to industry standards and norms. Owing to the expertise of our team of experienced professionals, we are able to introduce an exclusive range of 20X2 FSTN LCD Module. The offered LCD module is made available with 00.89 interfaces. The color and LCD type may differ according to the circuit used. In order to develop a unique and perfuming LCD module, at our vendor’s end, the professionals adhere to international industry standards along with keeping a strict check on the production. The available LCD module size available for the 20 x 2 is 120.036.0. Looking for FSTN LCD Module ?